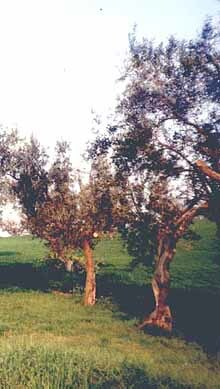 The olive tree is precious, but its oil is even more so, especially extravergine di oliva (first class quality oil) from Le Marche. If you happen to be in Monte San Vito, in the province of Ancona, you will probably go to see one of the most intact testimonies to the culture of the olive-tree and the olive: a perfectly preserved oil-mill from half way through the 17th century. The councillor responsible for Agriculture has considered this testimony interesting and, having re-actived the oil-mill, had a film made about the region’s ancient systems of olive crushing. 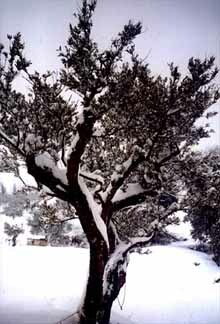 Olive cultivation and olive-crushing in the region has extremely ancient origins. 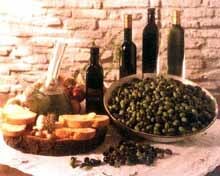 We find a mention of olive oil, its quality and quantity, in the medieval period from 1228 inward, when Le Marche ships were asked to pay a toll of twenty-five pounds of oil, when they approached Ferrara. Even the Puglia Region paid a toll in oil, but the historical documents reveal that a superior value was placed on le Marche oil, as confirmed in the merchants’ regulations of Venice (of 1263) where “olio de Marchia” was sold separately from the production of other regions. In 1300 Marche oil, besides the Republic of Venice, was also sold in Florence in quantities of over 2,500 pitchers a year. This exportation continued until half way through the 17th century because oil production exceeded local consumption and, as Botero wrote in his “Universal Reports: “The Marche is abundant in grain, oil and wine, and sends great amounts away”. There were a great number of old-mills and they were commonly called friscoli, a name still in use in popular speech. In Le Marche, thanks to 7,200 hectares of spececialised olive groves and a production of 45,000 quintals, an extra virgin oil of great organoleptic quality is still being produced today. 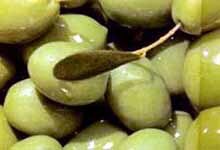 The product’s typicality derives from its environment because Le Marche lies at the edge of the area of olive cultivation whose northern limit is a line starting from the gulf of Genoa and cutting the peninsular obliquely to join the Adriatic north of Ancona. 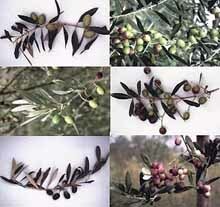 Typical varieties of a series of ancient native olive-trees are used in the production of le Marche extra-virgin olive oil (mignola, sergano, carboncella, raggiola, rosciola, Falerone plants, lea and nebba), which give particular fragrance to arrange of olive oils due to the presence of volatile aromatic compositae in their fruit.